Mortgage insurance is not to be confused with homeowners insurance or mortgage life insurance. Homeowners insurance is intended to protect a homeowner, and the lender, from the loss of the house in the event of a fire. Mortgage life insurance is intended to protect a surviving spouse by paying off the mortgage in the event of the death of a spouse. So, what is mortgage insurance? Let’s begin with a more basic question. What is insurance? buy modafinil uk 2014 straight from the source Insurance is a “transfer of risk” from one person to another person (or company). In the case of mortgage insurance, a mortgage lender is transferring a portion of their risk to a mortgage insurance company. 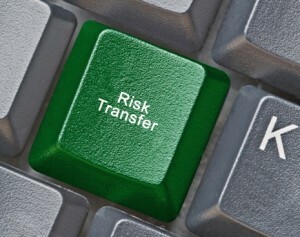 What risk is a mortgage lender transferring? The risk of losing money. More specifically, the risk of losing the amount of money they loan a borrower over and above 80% of the value of the house. A mortgage lender will accept the risk of losing their money on up to 80% of the value of a house. Mortgage insurance is typically required on Conventional loans where a borrower provides a down payment of less than 20% of the purchase price of a house. For example, if an aspiring homeowner wants to purchase a house for $300,000, a mortgage lender will loan up to $240,000 without requiring mortgage insurance, assuming the borrower can overcome the four Cs of borrowing. However, if an aspiring homeowner wants to finance $285,000, which is 95% of the value of the house, the lender will transfer the risk of losing that $45,000 ($285,000 – $240,000) to a mortgage insurance company by requiring the borrower to pay for a mortgage insurance policy. You might be thinking, but the lender can take the house if I don’t pay? A mortgage is a loan against your income and your credit history. More specifically, it is a loan against your ability and willingness to repay the loan. The house is simply used as collateral. 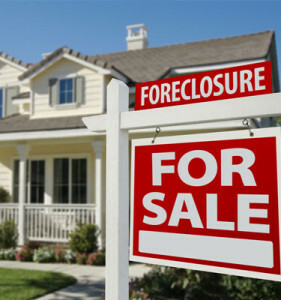 Contrary to popular opinion, a mortgage lender doesn’t want your house. They are not in the real estate business. Mortgage lenders are in the money business. They want the money. They want the principal amount they loaned a borrower and the interest on that money returned to them in a timely and agreed upon manner. Mortgage insurance is a policy for the sole purpose of covering the lender should a borrower fail to make their monthly mortgage payments and the lender is forced to foreclose to recover their money. The borrower pays the premiums, but the lender is the beneficiary. Its purpose is to make a lender whole so it does not suffer a financial loss. Why would a mortgage insurance company accept that risk? Because their research indicates that most people who purchase a house will make their mortgage payments and the mortgage insurance company won’t have to pay a claim. However, mortgage insurance companies insulate their risk as well. The premiums they charge vary based on a variety of factors, such as a homebuyer’s credit score, down payment amount, loan purpose (refinance (cash out vs no cash out) vs purchase), mortgage type (fixed vs adjustable), loan term (≤ 25 years vs > 25 years), property type (traditional vs manufactured), loan amount (≤ $417,000 vs > $417000), etc… The greater the risk a borrower represents the higher the mortgage insurance premiums. While a VA loan does not require mortgage insurance, they do asses a VA Funding Fee on all VA loans, except those provided to disabled veterans, and this fee acts as a form of mortgage insurance. Mortgage insurance premiums decline gradually over the term of the loan as the principal amount of the outstanding mortgage declines. Because the risk of loss to the lender diminishes as the borrower’s equity stake grows beyond the 20 percent level, large investors like Fannie Mae and Freddie Mac permit cancellation of mortgage insurance coverage under certain circumstances, which will be covered in a separate blog post. If you’re interested in learning more about the steps involved in owning a house of your own please contact us to schedule a time to talk about your specific circumstances.